There’s plenty to do at the club in Dance Dance Execution. Drag one of the many decorative balloons from the ceiling to a Pygmy and let him inhale the giddy gasses within, giving him the heady buzz of a trip to the dentist – complete with the semi-coherent rambling of David After Dentist. 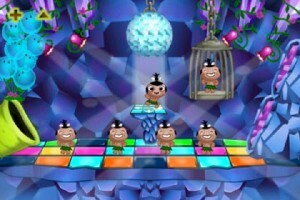 Or, pluck a Pygmy off the dance floor and put him in the spotlight on a raised platform to start a dancing mini-game! 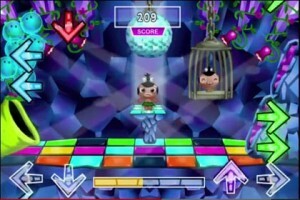 Match the moving arrows to the beat of the music, or be crushed by a giant disco ball for your failure to groove. 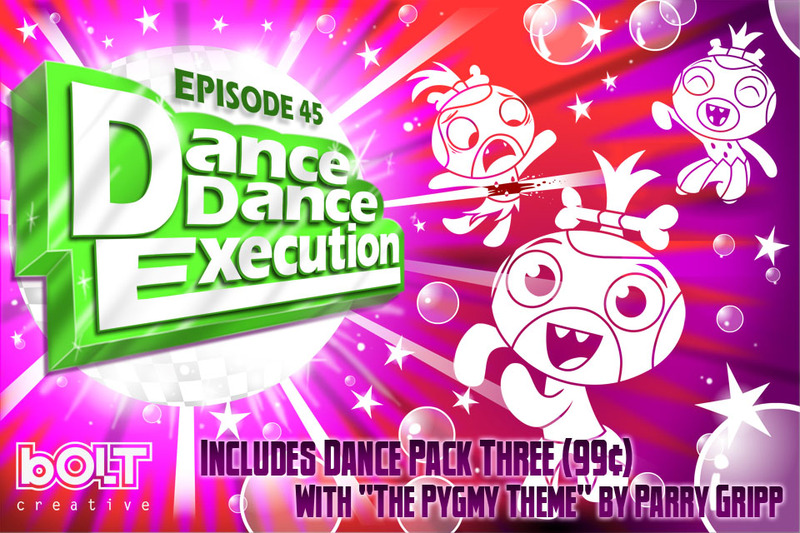 This update also reveals the all-new Dance Pack, which is available for $0.99 and provides the Pygmies with a series of new dance moves – including the Pocket God theme song performed by Parry Gripp. Drag a Pygmy into the hanging go-go cage and let them dance to this beat and others, including the YMCA, the MC Hammer Dance, Elaine’s Little Kicks, and more. You think you can dance? Check out these slick moves in the Episode 45 trailer: http://youtu.be/ttv9YG9lSLE. Pocket God and the new update can be downloaded for $0.99 on the iTunes App Store today at http://itunes.apple.com/us/app/pocket-god/id301387274?mt=8.